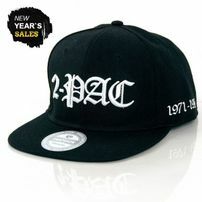 Makaveli Branded is the official clothing line of Tupac Shakur, created by Paul Meltzer, who licensed the rights from his mother, Afeni Shakur, and Rick Barlowe, her partner. The original concept was shaped with designer Willie "Esco" Montanez from an idea conceived by Rips Meltzer. It was launched seven years after the death of her son. The brand's purpose is keeping the legacy of Tupac Shakur alive through fashion.